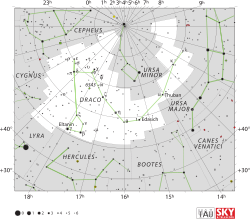 Draco is a constellation in the northern sky. Wikimedia Commons has media related to Draco. This page was last changed on 4 April 2016, at 15:39.